The Lithuanian alphabet consists of 32 characters, but not one of them is as unique as the letter ė. It is the only character that has no match in any other language. Technologies of the modern world have swallowed up Lithuanian letters – extra dots, macrons, ogoneks, and carons. People are either too lazy or see no particular reason to install special keyboards in order to use the language properly. Latin alphabet was not sufficient to mark these sounds. Therefore somebody needed to create extra symbols. One of the oldest representatives of such symbols is the dotted letter ė (pronunciation). Ė was created in 1653 by Daniel Klein (1609–1666). He was a Lutheran pastor and grammarian in Tilsit (Tilžė). 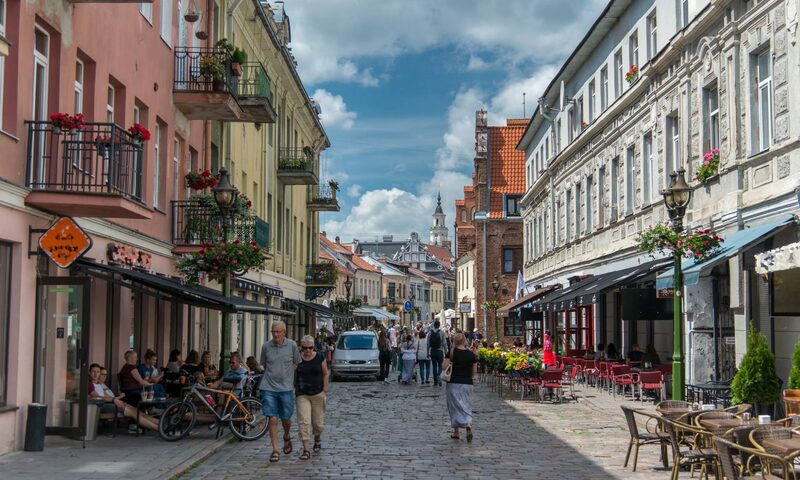 Yes, it is the same town of Prussian Lithuania that produced the famous Tilsit cheese. Klein was the author of the first Lithuanian grammar. The letter ė appeared in the common Lithuanian language only in the 19th century. Since then, it is a part of the official alphabet. It reflects our ancestors’ resolution to preserve and nurture the native tongue. The uniqueness of this character can be illustrated by a mostly unknown story told by Giedrius Subačius, a professor at the University of Illinois. Long before the age of computers, shortly after the WWI, Lithuanian papers in the United States were published using a similar symbol – ē, e with a macron, commonly used in transliteration of the long e in other alphabets. The reason was simple. 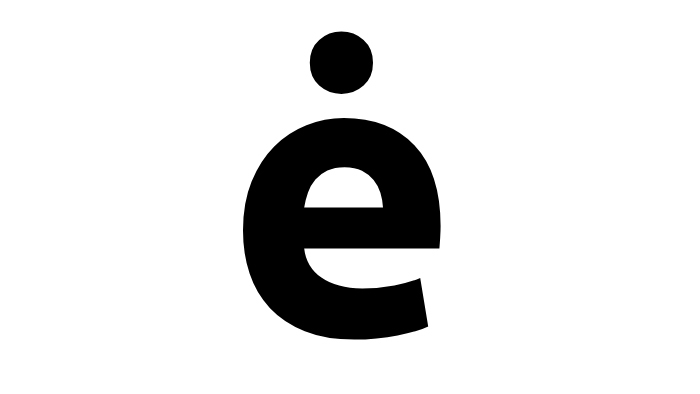 At the time, ė was not considered to be a real character, but a rarely appearing symbol. Printers needed a specific form that would cost twice as much. Clemente Dedele, who worked in various printing houses of Chicago, actively corresponded with moulding factories and convinced them that ė is a real, even if a rare character of the Lithuanian alphabet. Persistence paid off. American moulders gave in and charged for the form the same as for any other letter. In order to preserve Lithuanian, one of the oldest languages in the world, special initiatives intend to bring back these unique symbols of the alphabet into the everyday writing of the people. The idea resonated with some Graphics Department students of Vilnius Arts Academy, who represented Lithuania in Leipzig Book Fair of 2017. The students created an Ė workshop with live collage, artistic calligraphy, and text-reading using the interactive glasses. This year, Kaunas municipality and a private company UAB ACC Distribution decided to build a monument to the character, which sets the Lithuanian language apart in the rest of the world. It will be an appropriate gift to this ancient and unique Language of Europe. Irena Grant on Ė! Come back!